* '''Surveys''': Gives access to all surveys. 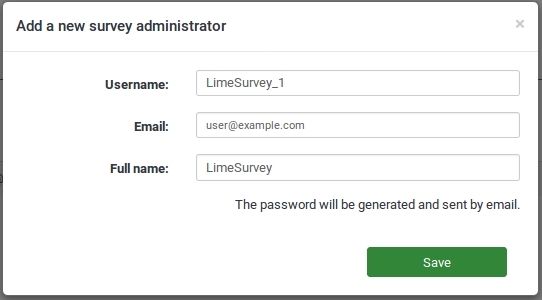 To allow a user to only create and manage their own survey, give the user the 'create' permission. A creator of a survey is the owner of the survey and will always be able to manage it. Remember that each survey can grant to users different permissions.